Germany – The how, why and where of law firm international expansion. Crasner Consulting, a pre-eminent legal search and management consultancy firm, takes a look at the German legal landscape and analyses the merits of US and UK law firms launching and building their practices within the country. Nick Crasner, one of the world’s leading advisers to international law firms, knows better than most how competitive the German law firm market is. As Britain’s withdrawal from the EU looms closer and the German government pushes forward with its plans to bolster economic growth, build greater depth in the Financial Services sector and become the economic powerhouse of Europe, Mr Crasner has teamed up with Katie Faulds, the Head of the German practice at Crasner Consulting, to analyse the legal market in Germany and assess whether law firms really should be in the country. Management Committees and Boards of international law firms are following the above mentioned developments closely and engineering their strategy for Europe with great precision. As such, we look to unearth whether launching in Germany is now an imperative for law firms that market themselves as “international”? The laws of England & Wales and New York are the two widest used legal systems in international business, and this is often the reason why law firms from the United States choose London as the natural location for their international expansion The fact that the lawyers (Solicitors) in London speak English, have had comparable training (although English Solicitors have “Training Contracts” and their counterparts in the US do not), means that US law firms see a lot of commonalities with their peers in London. However, there has been a shift in direction. 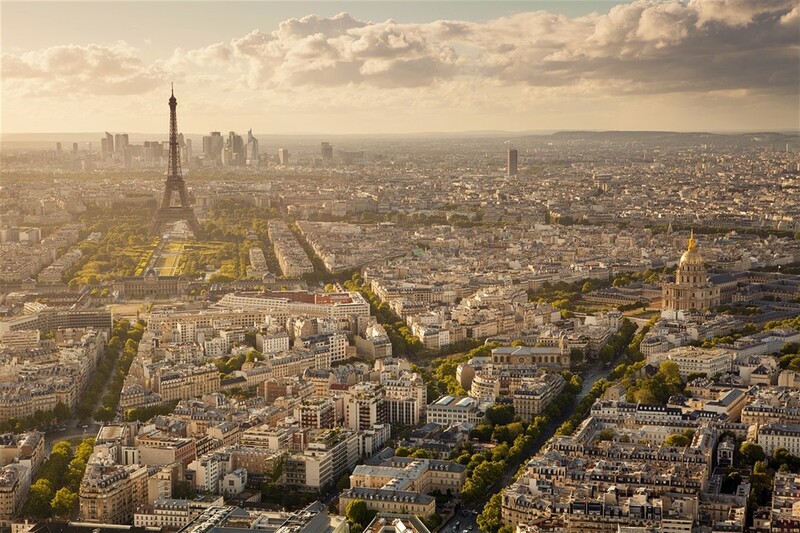 International M&A and investment from the US is increasingly heading to Continental Europe. Given that Germany is home to some of the most prominent Life Sciences, Chemicals, Construction, Financial Services and Industrial companies in the world, law firms now have to ask themselves whether Germany should form the core part of their international strategy. Germany is the largest economy in the European Union and has unsurprisingly long been a strong recipient of investment from international firms looking to capitalize on the wealth of opportunities in the country. In fact, Germany is the fifth largest destination for FDI in the world. The fall of the Berlin Wall, the demise of the communist regime in the East and the consequent reunification of the country, led to the liberalization of the German market. This was a change that came to be a huge turning point in history, when international firms began to see Germany as a location for growth. This transitional era brought a whole new outlook to the way law was practiced in the region. Before 1990, it was impossible for German lawyers to advise on German law if they were working at a firm not based in Germany. In 1990, noticing the changes that were occurring in the market, the German Legislature decided to do away with these restrictions, bringing Germany more in line with the U.S. and the U.K, where suitably qualified lawyers outside a jurisdiction could advise clients on German, US, UK laws. This change bought a new, exciting and liberal era to the German legal market. One of the first examples of U.S. law firm investment into Germany was New York headquartered firm Weil, Gotshal & Manges who, supported by the U.S government’s pledge to help post-communist countries, went on a strategic European expansion journey, starting with Budapest, Prague and Warsaw. They entered Germany in 2000 with an office in Frankfurt. Since the beginning, international law firms have either launched because of one specific practice or sector expertise, or have alternatively decided to go down the full service route in the German market. As a result, U.K and U.S. headquartered firms, such as Freshfields Bruckhaus Deringer, Linklaters, Dentons and Allen & Overy now boast not just one, but multiple German offices, and this trend continues. For example, just in the last few days Linklaters and Clyde & Co have announced that they will both open offices in Hamburg. This will be Linklaters’ 5th office in the country. In light of this, have you ever wondered why firms choose to spread themselves so widely across the country? Well, Germany has long been a country which has no obvious starting point when expanding into the region. Unlike the U.K. where firms automatically target London, Spain where firms typically look to Madrid or France where law firms typically aim for Paris, Germany has always been a decentralized and fragmented location. Germany is a made up of Länder and is governed by the principles of regionalism. The market is not dominated by one city or one region, each city has its own attractions and client base. With at least six major business hubs (possibly 8 or 9), law firms have always had to consider their expansion in Germany very carefully. Choosing the wrong location can guarantee failure in the German market. Hamburg – Shipping & International Trade as well as SME’s and family owned businesses. Times are, however rapidly changing, and although we continue to see huge investment into the country by international law firms, we are also seeing more and more of the reverse, with firms streamlining, or closing their operations all together in areas of the country. Just recently, Freshfields announced that they would be cutting their Partner headcount by a further 20% across Germany. In 2015, Orrick Herrington & Sutfcliffe decided to rejig their German business and focus on Munich and Dusseldorf, closing their operations in Frankfurt and Berlin, and less recently, Shearman & Sterling opted to close their offices in Dusseldorf and Munich to focus their practice on Frankfurt (2013). So what really is causing this change, and what does it mean for law firms considering Germany as a location for either initial expansion or further penetration? ·The rising trend of un-bundling transactional work and instructing different law firms on different aspects in order to get the best possible fees. The difference in how firms are reacting to these trends in the market, demonstrates how firms have such diverse strategies within the region; which is absolutely key. So what does this mean for international law firms considering Germany as a location? Ultimately, being an international Law firm in Germany is no longer a differentiating factor; it takes a highly strategic and focused approach to be successful. Firms that are considering a move into, or an expansion within Germany, should be clued up and aware of the above trends and pressure on fees. Competition within Germany is rife and choosing to enter the region for the sake of it because it is Europe’s largest economy, no longer cuts it. 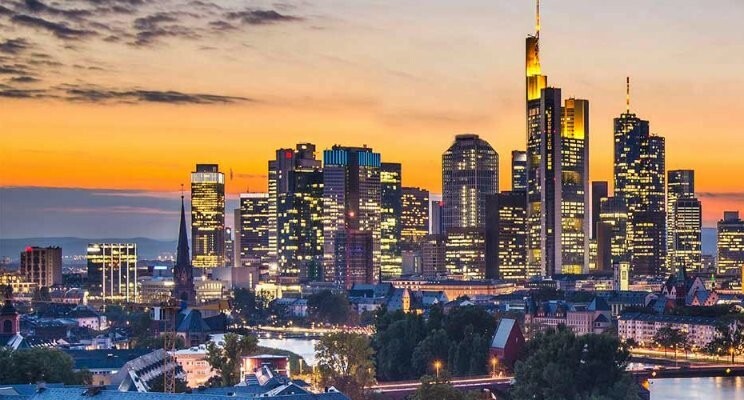 Germany is a vital location for international law firms for a multitude of reasons, but those firms looking to get into Germany should first consider their clients and the strategic need to be in the region to service them. They should then choose the right location in Germany and be resolute with their decision. The expansion should also be practice focused, growing in line with where the firm has a strategic advantage. Moving into the region by hiring a hard hitting lateral partner or team alone, without considering first the firm’s clients, practice strengths and strategic advantage in the market, will no longer have the desired effect. The firms that will execute a German expansion most successfully, will be the ones that have a client and practice centric, cost conscious approach which focuses on profitability. The critical mass approach focusing on size and having the biggest office in the region, is now a sure fire way to achieve disappointing return on investment. Germany continues to be a core location for international law firms wanting to target Europe, for a multitude of reasons. Not only could Frankfurt become the main European financial hub after Brexit, but with the continuation of restructuring work after the financial crisis, increasing competition control and regulatory enforcement that is driving up compliance investigation work, rise of IP litigation and other disputes, as well as Germany’s booming startup economy, law firms are being kept incredibly busy. The changing nature of the market however, means that these firms need to be extremely strategic and patient when trying to launch in the region. They need to be different, profitable and focused in the areas that they do best and that most serve their clients. The competitive nature of the market will otherwise quickly show them the door. Crasner Consulting is a pre-eminent force in global legal search & consulting. Consistently recognized as a global leader in executive search and consulting. The firm has over a decade long track record of helping international law firms with retained search and management consulting. Trusted advisors to the boards and management committees of some of the world’s most prestigious international law firms, Crasner Consulting are called upon for guidance and execution of some of the most high profile office openings, build outs and restructurings in the world. Mr. Crasner is the Founding Partner of Crasner Consulting. He is one of the world’s most high profile legal headhunters and management consultants. He is a trusted advisor to management teams of law firms. Based in London, Mr Crasner has previously lived and worked in Asia, Continental Europe and the Middle East. Mr. Crasner has assisted numerous US and UK law firms on transactions (office openings, lateral teams and Partner recruitment) across Continental Europe, the Middle East and Asia and has executed assignments in all of the major international legal hubs outside of London and New York. He has extensive experience in the development and project management of large law firm office openings, restructurings, build outs, teams and individual Partner search where he helps international clients enter and build up their presence in a given market. Katie Faulds is a Principal Consultant at Crasner Consulting. She is fluent in English, German and Spanish, is Principal Consultant at Crasner Consulting, focusing on retained Partner and Team searches, law firm mergers, practice launches/build outs and office openings. Ms. Faulds assists clients all over the world and she leads Crasner Consulting’s practice in Germany, Spain and Latin America. Katie has been widely acknowledged for her outstanding execution skills, having trained with a global search firm whilst working on some of the most complex retained searches in the world. Alongside the above, Katie is also Chair of Crasner Consulting’s Diversity Committee and Crasner Consulting Women’s Initiative, driving diversity both internally, as well as externally for clients. Vive La France says Kirkland & Ellis.